The 2017 Auto Shanghai is scheduled from 21st April to 28th April. China being the largest auto market in the world, and the Auto Shanghai being one of the major automotive event in the country we are about to see several exciting cars and concepts making their appearance at the motor show. Some of the cars about to debut there will arrive in the Indian market as well. On the other hand, some concepts ready to make debut at the show will inspire the future production models of respective automakers. Meanwhile we choose five cars, which will make their debut at the upcoming 2017 Auto Shanghai. Let us take a look at those spectacular five cars. Skoda has already revealed the sketches of the Vision E concept ahead of the concept’s global debut at the upcoming 2017 Auto Shanghai. The concept previews the Kodiaq based coupe and it blends the sharp design language of the Czech automaker with premium modern style. The concept shows next generation design language of the Volkswagen group auto manufacturer and from the name, it becomes clear that it will spawn an electric car during production. The Skoda Vision E concept derived premium coupe based on the Kodiaq looks sharp and suave. It gets sleek and sharp LED headlamps and there is a thin LED strip running horizontally and connecting the headlamps. The front bumper appears to be identical to the Kodiaq, and there is a sleek horizontal LED strip present too. At the side profile, the flared wheelarches, sharp character lines and large sporty alloy wheels are visible. The sketch reveals a nicely curved coupe roofline, while the rear sports Vision E concept gets wide and sharp LED taillights and a chunky bumper as well. The overall design of the concept is very attractive. Dimensionally, the concept measures 4,645 mm in length, 1,917 mm in width, 1,550 mm in height and it has a wheelbase of 2,850 mm. Interior of the concept is yet to be revealed. Expect the production model derived from the concept to come with premium quality features and offer a luxurious and comfortable experience to the occupants. Skoda has already cleared its intention of adding five environment-friendly cars by 2025 across different segments, and Vision E concept appears as part of that strategy. It is going to be powered by twin electric motors combined with a lithium-ion battery pack. The electric powertrain is capable of churning out 306 PS of peak power and the car can run up to 500 km on a single charge. Expect the battery pack to be placed to give the car optimum weight distribution enhancing handling capacity. Another interesting fact is that apart from electric powertrain, Skoda could introduce autonomous driving technology to the Vision E concept. It could come employing a range of camera and sensor to enable a self-driving technology. 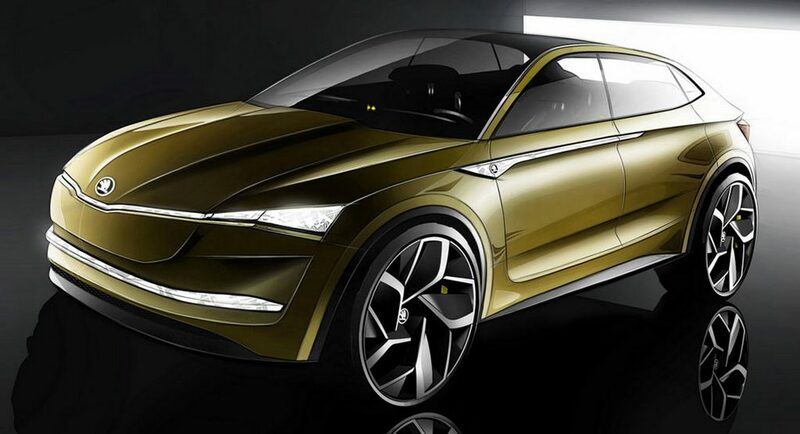 However, despite the sketches out online, several details about the Skoda Vision E concept is yet to be revealed and we hope to learn more once it gets unveiled at the upcoming Auto Shanghai. German luxury automaker Mercedes Benz is preparing to launch the facelifted version of its flagship sedan S-Class at the upcoming Auto Shanghai later this month. It could be unveiled at the 2017 New York International Auto Show as well. However, if it gets unveiled at the New York show, which is scheduled from 14th April to 23rd April, the car will surely appear at the Auto Shanghai, as both the US and the Chinese markets are very important for the German luxury brand. In terms of visual upgrade, the 2017 Mercedes Benz S-Class gets minor changes compared to the current model. Facelift version of the luxury sedan comes with a tweaked front grille, which is less inclined than the existing model. The front and rear bumpers too get updates, enhancing the visual appeal further. Overall, the little changes have been made in an attempt to give the sedan a sharper stance compared to the pre-facelift model, but the signature silhouette of the car remains same. The S-Class incorporates the German brand’s latest design language. It features a front grille with plenty of chrome garnishing, sharp LED headlamps with integrated LED daytime running lights. The subtle lines at the side profile along with nicely crafted roofline and alloy wheels reflect elegance from every inch. At the rear profile, the signature Mercedes LED taillights are also present. Inside the cabin too, the Mercedes Benz S-Class facelift is expected to come with little more luxurious than its predecessor. But the overall design and shape is expected to remain intact. The technical changes are pretty significant in the 2017 model of the luxury sedan. It comes employing an all-new hybrid powertrain including a six-cylinder in-line petrol engine combined with a 48V electric motor. The hybrid powertrain is expected to deliver performance similar to a V8 engine, but it will return more fuel efficiency compared to the V8. Apart from the hybrid set-up, the sedan will also have different powertrain options including four and six-cylinder turbocharged diesel engines from the new generation E-Class. There will be a 4.0-litre V8 bi-turbo engine under the hood of the performance oriented AMG variant. Another interesting feature in the luxury sedan is going to be the semi-autonomous driving technology borrowed from the E-Class. This system includes all the latest advanced driver assistance and safety technologies available in the smaller sibling the E-Class. Lamborghini Urus could be a big attraction at the upcoming 2017 Auto Shanghai as it has been a most anticipated car creating headlines around the automotive world for quite some time. Chinese customers are known for their love for luxury SUVs and what could be more exclusive than a Lamborghini SUV. More interestingly, the original Urus concept was showcased at the 2012 Beijing Auto Show, the Italian luxury sportscar manufacture could bring a production ready model at the Shanghai show. 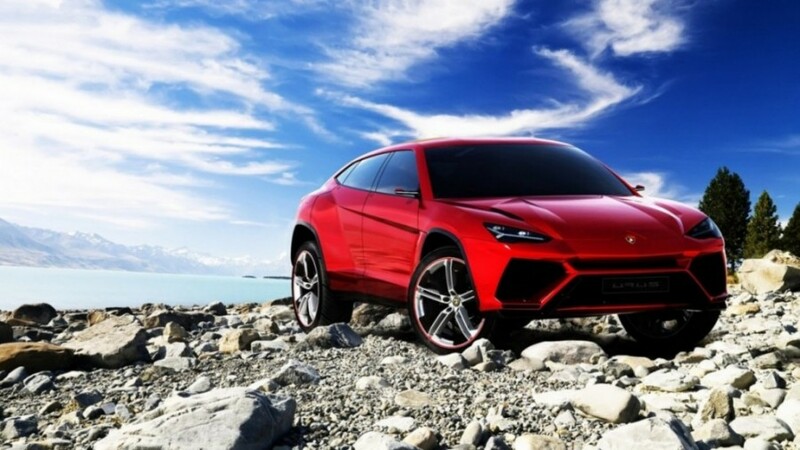 The Italian automaker will begin the production of the Urus prototypes in April. Therefore no specific information regarding the style and design is available, from which we can speculate how the Urus will actually look like. But we can expect that it will come bearing similar design like the concept. In that case we are about to see a very sharp and aggressive looking Lamborghini in a few days. The Lamborghini Urus is expected to come sporting sharp laid back LED headlamps along with integrated LED daytime running lights. The sloping nose section will meet perfectly with the front grille and a large radiator grille will increase the aggressiveness of the SUV. The large air dams at both sides will deliver sportiness. At the side profile, the Lamborghini Urus is expected to incorporate sharp character lines enhancing the aerodynamic efficiency, clearly inspired by its sportscar siblings. Expect the side profile to get large sporty black alloy wheels, flared wheelarches delivering a masculine tone and a nice roofline. The rear is likely to get sharp and sleek LED taillights and a chunky bumper as well. So far, the Lamborghini Urus will appear with an unique and eye-catching design compared to the other luxury SUVs available in the market. Inside the cabin, the Lamborghini Urus will appear with premium luxurious features and design. Power source for the luxury SUV is going to be a 4.0-litre twin-turbo V8 engine mated to an automatic transmission. The engine could churn out power output of 608 PS. Upon its arrival, the Lamborghini Urus will take on the Bentley Bentayga, currently the world’s most powerful and fastest SUV. 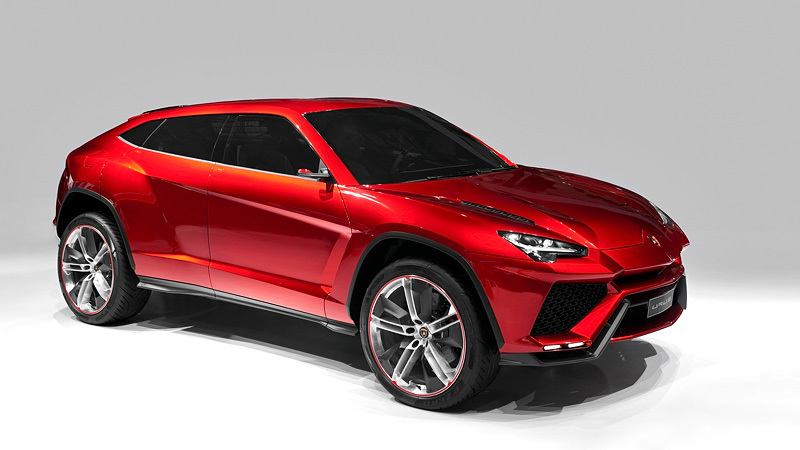 Post launch, the Urus is likely to receive a plug-in hybrid powertrain as well. Japanese premium luxury automobile brand Lexus has confirmed that it will unveil the updated NX crossover at the 2017 Auto Shanghai later this month. The car comes incorporating design update at exterior and inside the cabin as well. 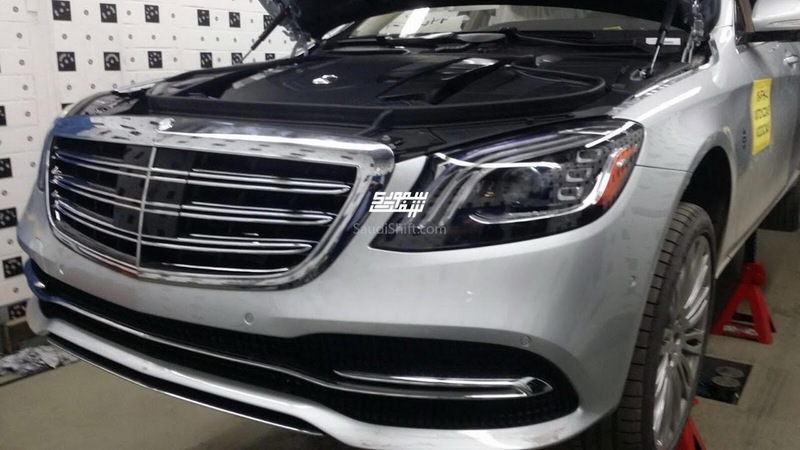 Ahead of the official launch at the Shanghai show, the luxury automaker has already released image online giving us preview of the new design LED headlamps. The new design headlamps look sharper and they come with new arrangement of the LEDs. It seems that while designing the headlamps, the 2017 Lexus NX crossover has taken inspiration from the LC flagship coupe of the brand. Not only that, the front grille too appears to be different than the pre-facelift model. The current Lexus NX crossover gets horizontal slats at the front grille with chrome garnishing, but the new mesh pattern makes it more aggressive looking and it comes in line with Lexus’ latest design language. Apart from the new headlamp and new radiator grille, the facelifted crossover could arrive with a revised bumper as well. At the side profile, major changes are unexpected, but it could don a new alloy wheel design, while the subtle character lines will be there increasing the visual appeal. The taillights could get a tweaked design as well along with new rear bumper. While exterior of the car is likely to incorporate several small but effective design changes, the interior too will come with a revised appearance offering sportier and more premium stance. Lexus is not very keen to disclose the details of the interior of the car, but it has promised enhancements inside cabin that will add convenience and functionality. We can expect the latest version of Lexus’ remote Touch infotainment system and a larger screen to be employed inside the cabin, which will undoubtedly add zing. The 2017 Lexus NX crossover could arrive with a new powertrain as well. Current model is available with a 2.0-litre turbocharged inline four-cylinder engine capable of churning out 238 PS of peak power and a hybrid set up employing a 2.5-litre inline four-cylinder engine combined with an electric motor, which pumps out 196 PS of peak power. These two engines are available in the NX 200t and NX 300h respectively. The new engine could be a V6 and it would be working under the hood of NX300. However, we will learn more about the car on 19th April. Mini is all set to display its all-new Countryman SE All4 at the upcoming 2017 Auto Shanghai. This is certainly one of the fastest little crossovers from the British marquee. The car employs a few exterior and interior design updates and the performance has been tuned to a superior note as well. 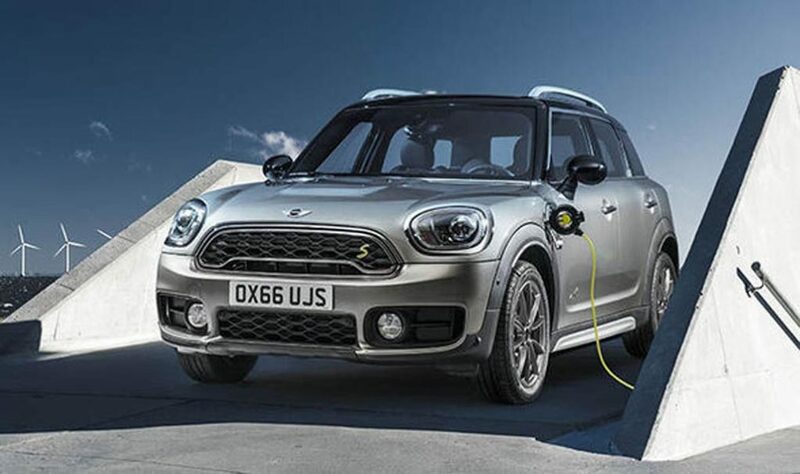 Mini has already revealed its pricing in UK ahead of the public debut in Shanghai. The car is priced at £31,538, which is equivalent to Rs. 25,58,902. Speaking about the design, the Mini Countryman SE All4 comes with signature front grille with aggressive Black mesh and plenty of chrome garnishing. The headlamps are highlighted with chrome detailing. The front bumper too looks pretty bold and employs fog lamps at both ends complemented with larger air intake. The dual-tone body paint scheme, blackened ORVMs enhance the sportiness along with the roof rail black cladding at the lower side profile and sporty design alloy wheels. The thick C pillar with shiny Black paint and chrome trim just below the glass area and the metal scuff plates add zing to the car. Apart from that, the crossover gets signature Mini taillights. Inside the cabin too, Mini has made couple of design changes, which is claimed to be increasing the style and appeal of the car. It comes with new multifunction steering wheel, new sport seats and the new gear shifter as well. The features include satellite navigation system, Bluetooth, Emergency E-call and Active Guard and it also gets cruise control. The new hybrid will come employing a three-cylinder petrol engine with Mini TwinPower Turbo technology combined with a synchronous electric motor. It will be able to run in full electric mode, as the British automaker claims. In the full electric mode, it can run up to 40 kilometers, if the speed doesn’t exceed 80 kmph. The electric motor takes around 3 hours and 15 minutes to get fully charged and it comes with a warranty of 96,560 km. The hybrid powertrain is capable of churning out a total output of 227 PS of peak power and it will be able to accelerate to 100 kmph from standstill in 6.8 seconds. The car appears with a four-wheel drive system indicated by the ‘All4’. The internal combustion engine sends power to the front wheel, while the electric motor delivers energy to the rear wheels and the transmission duty is done by a 6-speed Steptronic gearbox. Thanks to the All4 technology, the car is able to run on tricky terrains easily.